Online privacy breaches have been on the rise over the past few years, and this is not something that will change overnight. Due to the sophistication of hackers and their up-to-date knowledge with software flaws, the phenomenon of DDoS attacks, identity thefts, and multiple other online threats is not a rare one. However, along with the imminent danger, there are several security tools that all of us can use towards safeguarding our online privacy to the maximum. There are free extensions that may be utilized according to the browser you use, making life much harder for hackers and other cybercriminals. It is top priority to be able and protect our sensitive data; we cannot do without our precious privacy and thus, we ought to cherish our anonymity and freedom of using the Internet without hesitation or second guessing. We have come to the conclusion that knowledge is the key to protecting our devices, as well. Not only hackers need education; they use it in the wrong way, and everyone else has to use it in the right direction. With the proper knowledge, we can rest assured that we are not going to be caught sleeping, unable to respond to a threat. This is why we need browser privacy extensions; let it be Safari, Firefox, Chrome, Opera or Microsoft’s Internet Explorer. There are many browser extensions out there that can help you out towards safeguarding your privacy. We have focused on the best of them and present them to you! If you want to surf the web without worrying about ads, this is perhaps the best browser extension to this date. It is offered free of charge and can be used on Firefox, Chrome, and Safari. It is simple to use, as you only need to download the extension and enjoy its benefits. If you need ads on a particular website, you can easily disable the extension just for the site of your choosing. The whole process is completed on the top right side of the browser’s menu bar. With the use of AdBlockPlus (or any alternative), you succeed in avoiding pop-up windows and banners, third-party tracking cookies and other (minor but important) details. Alternatively, you can turn to uBlock Origin, ScriptSafe and NoScript. 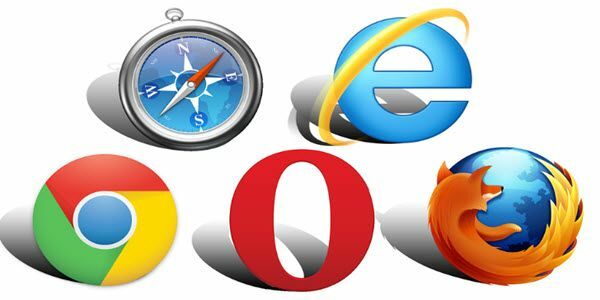 Working on Firefox, Chrome, IE and Safari, this browser extension is crucial for preventing tracking of your browsing experience. Disconnect blocks all the tracking cookies from third parties that may end up compromising your device, this is a great solution for those who wish to enjoy a malware-free connection to the web. It is easy to navigate and use, with various helpful features that allow you to use Wi-Fi hotspots securely, avoid threats on social media platforms and, in a nutshell, secure your identity. It comes at different rates, both free and premium – with benefits varying accordingly. Other options of this sort include Ghostery and Privacy Badger. The StrongVPN chrome browser extension is very easy to use. All you need to do is click on the StrongVPN icon at the top of the browser and choose 1 of the 9 cities represented. The cities are spread out across the Western hemisphere as well as some countries in Asia, so you have cities in the West Coast; San Francisco, Los Angeles and European cities such as London and Amsterdam. Tokyo and Singapore represent the Asian continent. To be kept entirely secured, you are going to need HTTPS Everywhere. In this way, you will be given the safest version of websites you are looking for at all times. It automatically drives you towards SSL connections, and this is of the essence for protecting your data.It is a tool from the EFF, the Electronic Frontier Foundation. This tells us something about its overall quality, doesn’t it? It is currently working on Firefox, Chrome, and Opera. It goes without even saying that you are going to need antivirus and anti-malware software. There are many different options out there for you to choose from, all with great features that can be fully adjusted to your needs. Depending on the device you use and based on your criteria, you ought to find antivirus and antimalware protection, up-to-date with the latest news in this department. Of course, you can select a free option or go for the premium antivirus and anti-malware alternatives that give you a valid license at a reasonable fee. Last but not least, you are going to need a VPN. This means that you are going to come up with a way that allows you to encrypt your traffic. Even if this sounds tedious and somewhat unnecessary, you should not find out the hard way why it is of such paramount importance to all Internet users. With the VPN, you can sigh with relief, knowing that you will be encrypting everything you share online. You will even mask your real IP address and therefore encounter no problem whatsoever with online tracking and privacy breaches. A quality VPN like IPVanish helps you remain anonymous, circumvent firewalls and other restrictions, avoid censorship and unblock all kinds of sites and channels worldwide. All that, with absolute privacy always! We have concluded our article on the best browsing extensions available out there for safeguarding your privacy. Make sure to check them out and find more details about their pros and cons, using them according to your personalized needs. Enjoy web surfing without any privacy issues obscuring your experience!